School group admission rates only apply when student admission is requested. Formal education facilities, youth groups, scout groups, day cares, and the like, qualify for this pricing. Reservations are required in advance to receive a school discount. Please submit your School Group Reservation form to classes@omahazoo.com. Group rates are available for parties of 30 or more. Reservations must be made two weeks prior to your visit. Please complete the form below to make your reservation. If you have questions, please contact the Marketing Department at (402) 738-6916 or groups@OmahaZoo.com. Regular admission rates will apply to groups with less than 30 visitors. Enhance your trip to Wildlife Safari Park with one of our knowledgable guides aboard your bus. 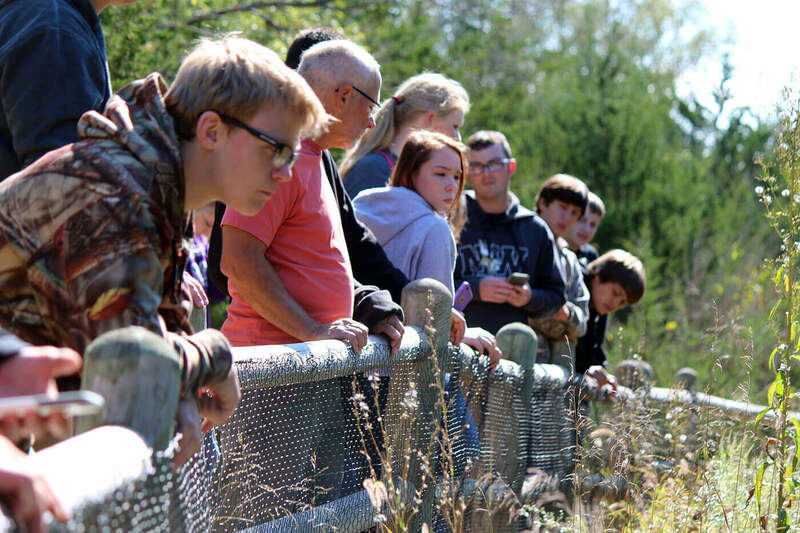 Our guide will share how Wildlife Safari Park's animals, natives of Nebraska, rely on the prairie and how the prairies rely on them, too. Package includes one hour Step-On Tour and admission to the park for the day. Reservations must be made two weeks prior to your visit. Prices are subject to change. Please complete the fields below. A representative from the Marketing Department will be in touch to confirm your reservation. Contact us with your questions at (402) 738-6916 or groups@OmahaZoo.com. If requesting a one-hour Step-On Guide, please indicate start time.